Luther Brown, poses at Caspar's Lounge in Milwaukee. Writer and photographer Chris Arnade speaking with Lake Effect's Joy Powers about his trips to Milwaukee and the people he met. During the early to mid-1900s, the Great Migration brought millions of African-Americans from rural, southern towns to cities like Chicago, Detroit, and of course, Milwaukee. 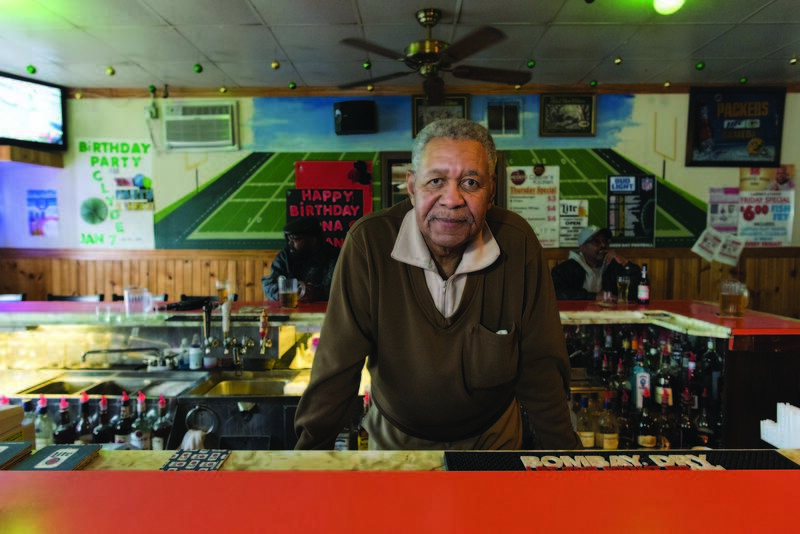 To this day, many older, black Milwaukeeans have roots in the South. Many moved here as teens and young adults, looking for work in an industrial city that overflowed with jobs at the time. During the '60s and '70s, "Milwaukee was a relatively booming industrial economy, with jobs that were accessibly to modestly skilled workers," says Marc Levine, director of the Center for Economic Development at UWM. These jobs are what attracted most southern migrants to the frigid northern city. "Jobs. It was just, simply jobs," says Chris Arnade, a writer and photographer who profiled several people for a photo-essay in this month's Milwaukee Magazine. The essay, Great Migrants, features older Milwaukeeans who came to the city during the Great Migration. Arande says that most of them shared a common story. When asked why they moved to Milwaukee, they would say, "My parents had a farm. It was kind of nice it was small... But I wanted a little bit more out of life. I wanted to make a little money, and Milwaukee was a place to go." Many admitted that while they grew up poor, they didn't really feel poor. But Levine notes that during this time, life in the rural South was not very pleasant for many African-Americans. "The sharecropping world - a fairly terrible place," he notes. "Not only in terms of the economy of the South, but obviously the apprehensiveness of the near apartheid regime that existed in the '50s and '60s." 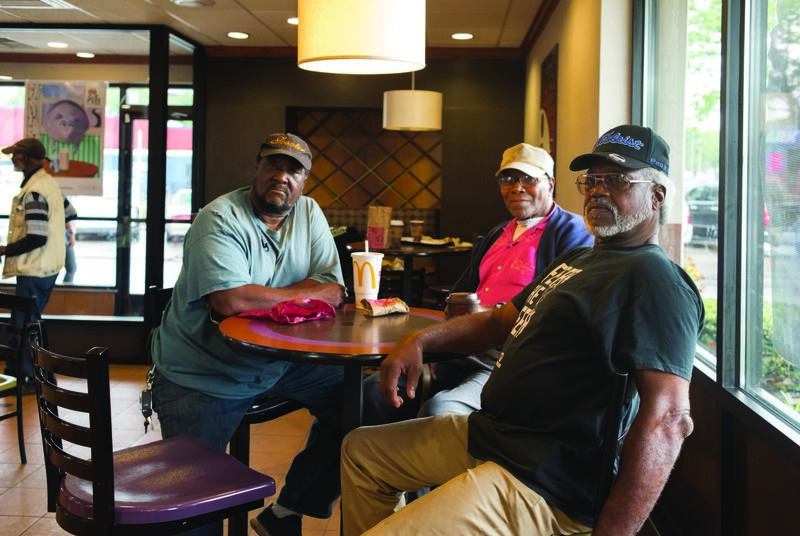 Several former migrants who are part of a local "ROMEO club," or "Retired Old Men Eating Out." Still many migrants felt that while the North didn't have Jim Crow laws or the overt racism found in the South, racism was still a problem for them in Milwaukee. "I was very blunt in asking, you know, when you got to Milwaukee, 'Did you come to escape the racism of the South?' And their answer by and large was no," he explains. Migrants came to the city for work, but say they found a place which was "equally racist, but it was different." While Milwaukeeans weren't as openly racist as the Jim Crow-era South, there were many hidden barriers in a city that purposely isolated African-Americans into specific areas. Many migrants expressed mixed feelings about moving to Milwaukee, but they still look back fondly at their lives, growing up in the city. Arnade says that while it's hard to dissect the nostalgia of their youth from their feelings about the current state of the city, it's clear that many former migrants feel it has deteriorated to some extent, since they first moved here for work. "They saw a Milwaukee now where the factories they worked at and the jobs that were available to them weren't there anymore," he explains. 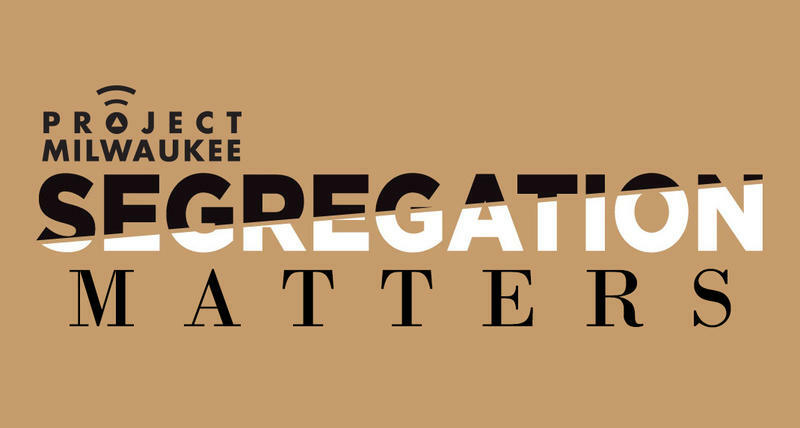 Chris Arnade will talk more about his photo essay with Lake Effect's Bonnie North at the Project Milwaukee: Segregation Matters Live Forum on Monday, March 6. Milwaukee is one of the most segregated metro areas in America, according to the latest census figures. 90 percent of African-American households in the region live in Milwaukee. The numbers also point to huge economic disparities smothering African-Americans who live in the central city. The Milwaukee metro area has a reputation as one of the most segregated in the United States. A number of studies support that reputation. Yet what's talked about less are the reasons the community is so divided, and the consequences.